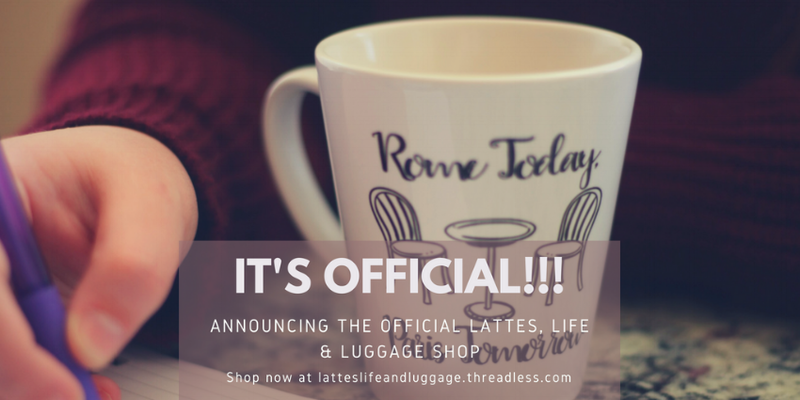 Announcing The Official Lattes, Life & Luggage Shop! The Official Lattes, Life & Luggage Shop has two original collections. One might even look a little familiar. The Taking Charge Collection is inspired by the tagline for this blog: taking charge of life with a latte in one hand and suitcase in the other. It’s a slogan I like to live by even though traveling might not always be consistent. It’s a slogan that is also meant to be taken metaphorically. When I rebranded to Lattes, Life & Luggage, I was closing one chapter of my life and starting a new one. In this chapter, I’ve really taken life and run with it. There have been ups and downs and a lot of risks but no regrets. If someone were to caricature this chapter, I imagine it would be me in a casual outfit dragging a suitcase behind me and sipping a latte. After all, that’s basically how I look on a regular basis. Just swap the suitcase out for an over-sized bag! It’s also so many women around the world making it someone many of us can identify with. The second collection is titled, Rome Today. The design features a bistro table set and the slogan, “Rome Today, Paris Tomorrow.” Rome and Paris are cities that everyone recognizes and they’re places most people dream of visiting. While I’ve had the opportunity to spend months in Paris, Rome is still a dream for me, one day to become a reality. This collection embraces my own travel dreams with the hope to inspire yours. 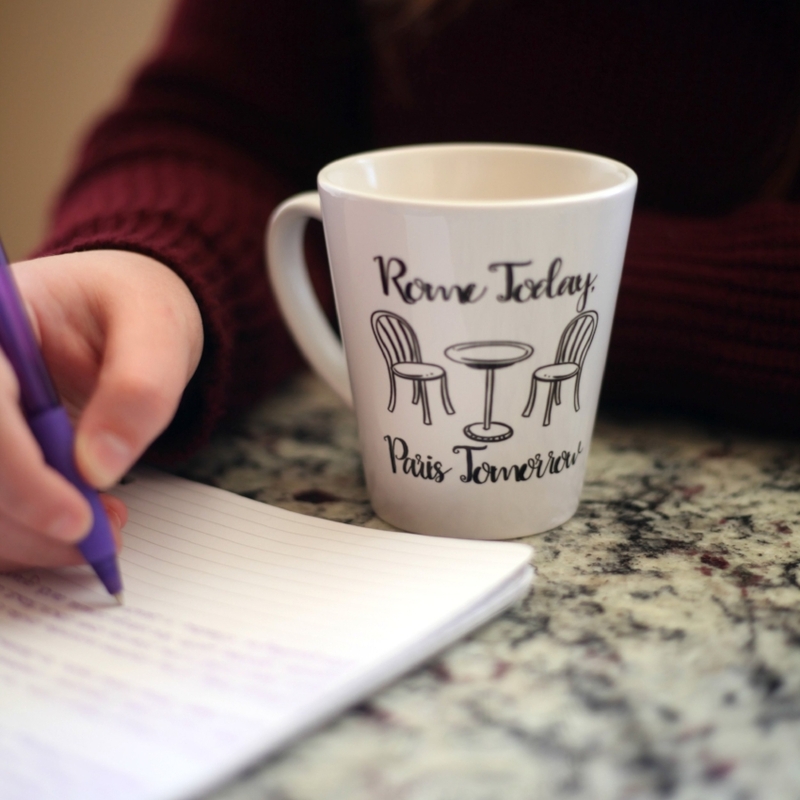 I imagine that if we had this mug on our desks every day, it would motivate and inspire us to book that plane ticket sooner rather than later. The shop is launching with the two collections described above. Both collections currently feature a few different mug types, tote bags, zip pouches, notebooks and water bottles. More items will be coming soon to both collections including travel mugs and additional types of bags. Starting later in the summer, we’ll be rolling out new collections every other month. There will also be seasonal collections for fall, winter, the holidays, and more. We will also host occasional sales and discounts so make sure to follow @LattesnLifeBlog on social media to stay in the loop. That’s all for now! Happy shopping and as always, thank you for your support!